Probably more than we think, they're pretty smart little things! Love the Standoff at the Food Corral picture! I just found this old picture of them. I have no idea what they're looking at! They look as if they are getting ready to dive-bomb something in that picture. 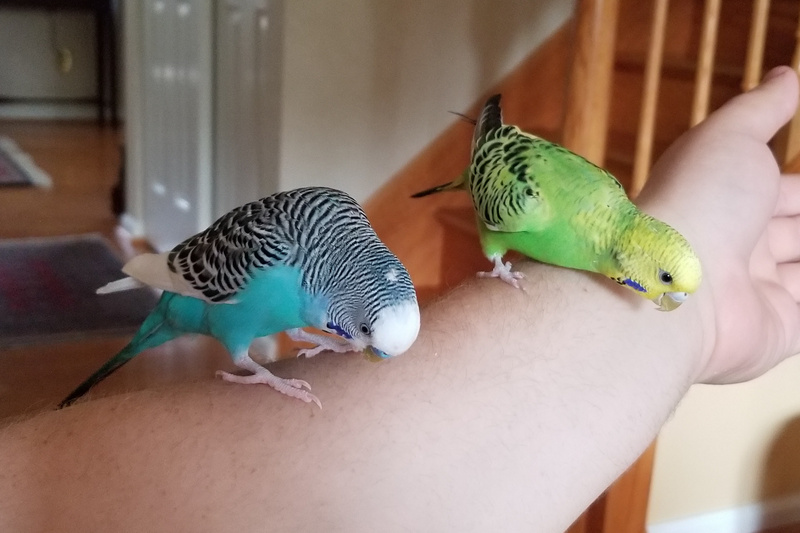 They’re working up the courage to go Budgie jumping!